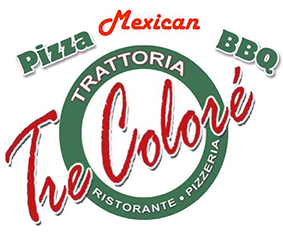 Online ordering menu for Tre Colore Pizzeria. Welcome to Tre Colore! Come and Experience the Best Blend of Italian and Mexican cuisines in New Jersey! Try our Italian cuisines like our signature Pizza Pies, Chicken Marsala, or our classic Fettuccine Alfredo! We also offer Angus Beef Burgers, Wraps, Cold Subs, and Hereos! Also try our delicious Mexican cuisines like our Pollo Asado Burrito, Beef Empanada, or our BBQ Beef Quesadillas! Order carryout online and find us along Route 35, 1 mile east of Middletown Plaza!